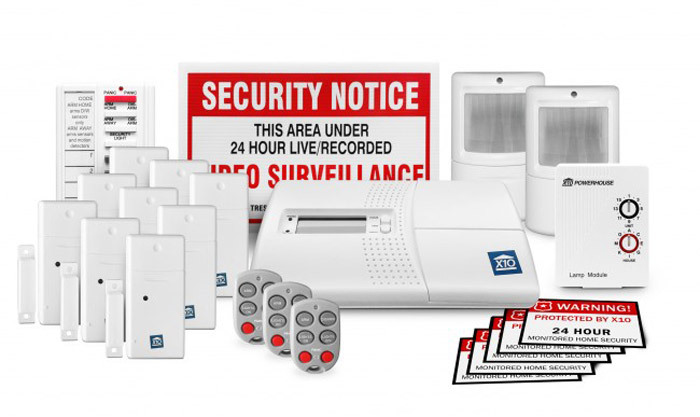 If you’re the go-big-or-go-home type, then the 23-Piece MAX X10 Security System is designed with you in mind! Like the MAX X10 Home Automation System, it involves all the components necessary to get started with X10, plus a few extra bells and whistles. 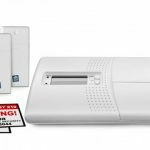 So let’s take a look at each of those 23 pieces designed to get you started with X10 Home Security in a big way. Like all X10 Home Security systems, the MAX X10 Security System can be easily installed without hiring a professional and comes with no monthly fee. It also includes all 5 layers of home protection. 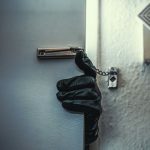 As seemingly insignificant as this layer may at first seem, it’s actually proven to represent the most significant deterrent to unwanted intruders. The MAX comes with 5 units of the X10 Security Window Sticker as well as the X10 Security Yard Sign. After the Security Signs and Decals, the next attempt at deterring would-be prowlers is Timed Lighting. 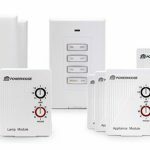 While any timed lighting can give your home a lived-in look even when you are away, X10 timers offer the potential of many timed events as well as random scheduling, Built-in timers can be programmed with either scheduled or random times. 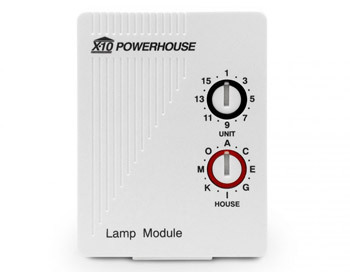 The MAX includes one unit of the LM465 Lamp Module. Another layer of protection, this one is the first that goes beyond the preventive to notify you whenever a perpetrator breeches your home’s perimeter. In the MAX System, it is represented by 9 units of the DS12A Smart Door/Window Sensor. Able to discreetly transmit signals to the DS1200 SecuriLINK Console, these units come with extra-strong, two-sided mounting tape. Each unit runs on 2 AAA batteries, which will last many years. 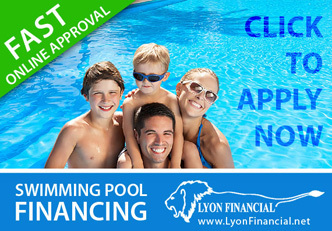 Any attempts to tamper with a unit will result in triggering the system when it is armed. You can attach security sensors to any doors or windows, even cabinet doors! 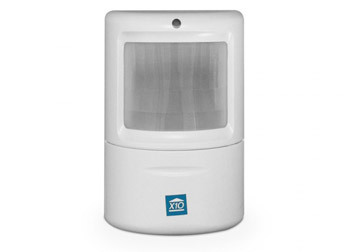 The MAX includes two units of the MS18A Smart Security Motion Detector. 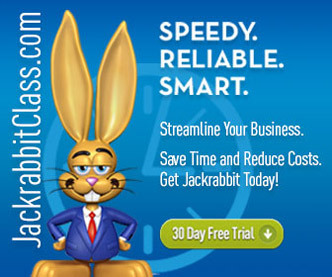 Intended for high-traffic areas, these wireless devices run on two AA batteries and have a range of 30-40 feet. You can set them anywhere, from hallways to stairwells and can program them to be deactivated when in Home Mode, keeping you from triggering them incidentally. These pet-friendly, tamper-resistant units will help protect your home without falsely setting of your alarm. 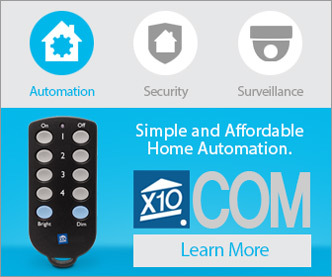 The final layer of protection in any X10 Home Security System is the Voice Dialer. The MAX includes this important product, which automatically calls you in the event that your security system is triggered. If you are not able to answer, the Voice Dialer of the DS1200 SecuriLINK Console (also included in your MAX system) will call up to 5 more pre-programmed numbers, until someone answers their phone. 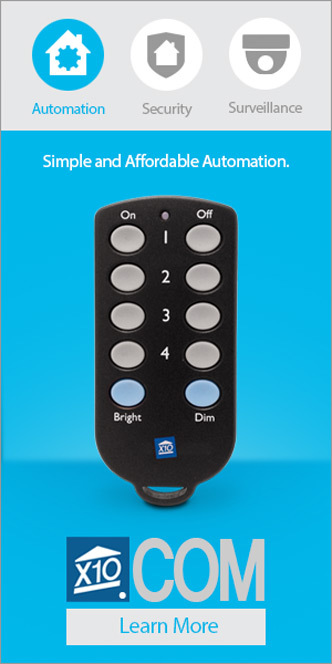 The remaining units in the MAX Home Security System include 3 units of the X10 KR32A Smart Security Keyfob Remote and one unit of the SH624 Security Remote Control.